Bravo! 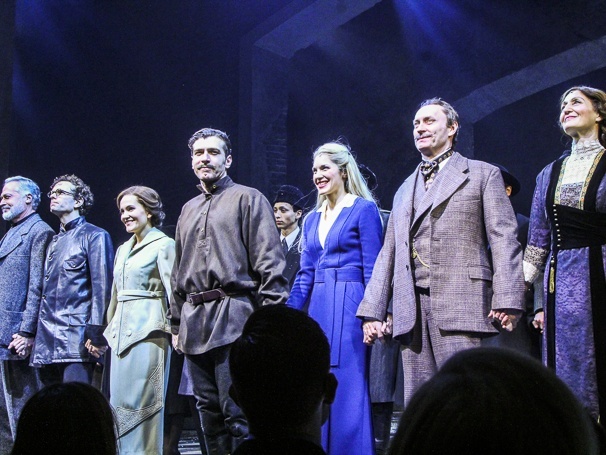 Doctor Zhivago stars Tom Hewitt, Paul Alexander Nolan, Lora Lee Gayer, Tam Mutu, Kelli Barrett, Jamie Jackson and Jacqueline Antaramian take their opening night bows. Click for photos from the official opening night of Doctor Zhivago on April 21, 2015 at the Broadway Theatre and the post-show party at Rockefeller Center.